Based on the national best-selling program, M.E.E.T. Breaking New Ground this new video series takes a fun, creative approach to describing the core components of diversity, inclusion and respect in the workplace. This diversity training programs helps organizations create an inclusive environment. 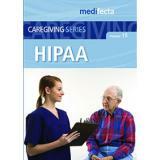 This series addresses all of these issues and more in a concise, easy-to-understand way. Engaging and informative, Let’s Talk, which includes the complementary but stand-alone programs, is a great tool to understand and stop harassment and bullying, and encourage a respectful, productive workplace. Let's Talk . . . Harassment-It Happens! This 10-minute program defines Harassment, its impact on people and organizations, and its remedies. An advantage of this program is its coverage of the legal definitions of both Quid Pro Quo Harassment (with an expanded definition that includes more than Sexual Harassment) and Hostile Work Environment Harassment. 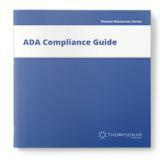 The ADA Compliance Guide is the most comprehensive and easy-to-use resource of its kind. 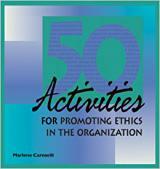 It was created to help you achieve and maintain compliance effectively. The ADA Compliance Guide will help you understand and comply with the EEOC’s final ADA regulations. These diversity training courses explains that employees and managers alike share a responsibility to create a respectful workplace. This program provides a solid introduction to the fundamental ethical terms and concepts that students and nurses need to know. The Leave and Disability Coordination Handbook is the one reference that makes it safer and easier to handle all the laws affecting employees, disabilities and leave. This thought-provoking, powerful short video uses impactful imagery, video and music to inspire and stimulate discussion about legal issues within your organization. 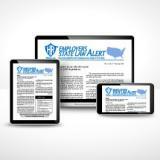 This 9-minute program focuses on four key learning points and their "takeaways," or sentence-long summations, to convey the spirit of the FMLA, as well as how to legally comply with this sometimes confusing legislation. This conversational, easy-to-use program for managers explains the Americans with Disabilities Act - its significance and its requirements. This 10-minute program defines bullying and abusive conduct, their impact on people and organizations, and their remedies. An advantage of this program is its clarification of the legal definition of bullying, an aspect of the topic that many people are unsure of. >The Department of Labor has strengthened its commitment to the enforcement of labor laws, cracking down on FLSA violations especially among low-wage industries. More FLSA claims have been filed since 2004, and offending companies have paid up, with one shelling out $85 million in back wages!